November 30, 2017, 10:52 a.m. This year, the charity asked people to ‘Rethink Remembrance’ with a 30 second advert narrated with an adaptation of the war poem ‘In Flanders Fields’ showing animated poppies growing from seed to bloom in day-to-day situations, emphasising the charity’s presence in everyday life. YouGov CharityIndex data shows that this year’s annual Poppy Appeal campaign made a notable impact during its first three weeks. Among the general public, ad awareness rose from +9 on 26th October (the launch of the campaign) to +26 on the 16th November. It achieved particular cut through among those who were already considering donating to the charity, with ad awareness among this group surging from +19 to +49 across the same time frame. The ‘Rethink Remembrance’ campaign also got people talking. The charity’s Word of Mouth score (whether or not someone has talked about the charity with family and friends) rose from +6 at the start of the campaign (26th October) to +16 at its peak (17th November). 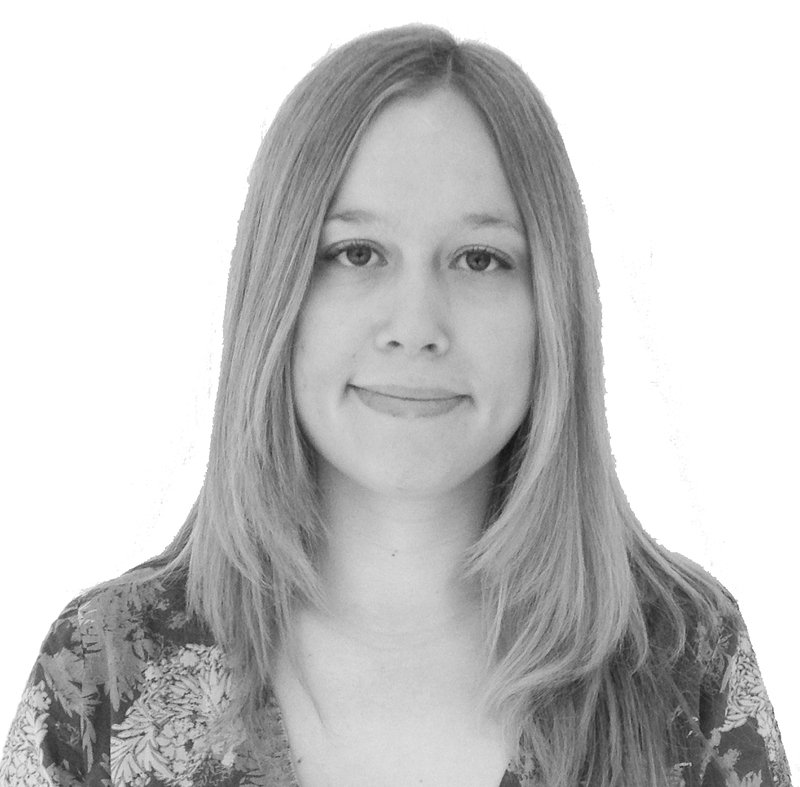 Purchase consideration (whether someone would donate £1 to Royal British Legion tomorrow) also rose from +25 to +34. There has been a debate around the nature of remembrance this year, with accusations that certain groups were coercing or pressuring others to wear the poppy. 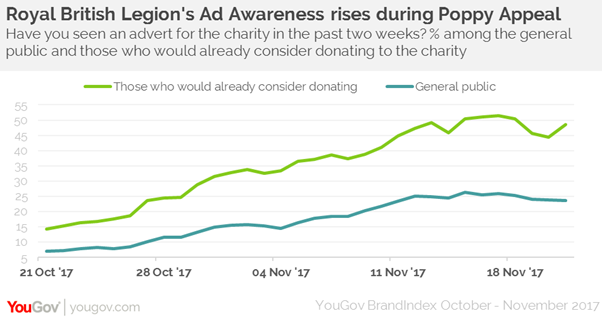 Our data shows that this did not affect perception of the RBL, with its Buzz score (whether someone has heard something positive about the charity) peaking at +20, the same as it was during the height of its 2016 campaign.